Be sure to download the preview and watch the video preview for more information! 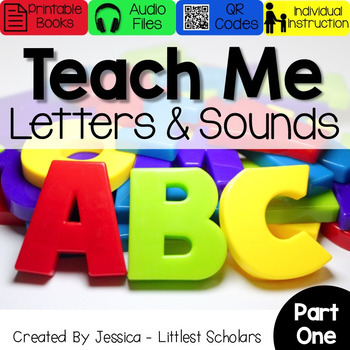 You can download the Teach Me Letters and Sounds: Aa Interactive Book for FREE here! UPDATE! This download now includes QR codes for easy access to the audio files and a full-page option for easy prep--just print, place in a page protector, and you're set!